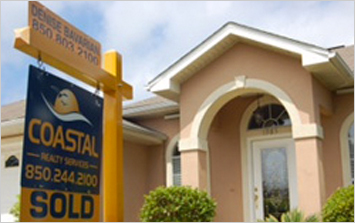 Our team at Coastal Realty Services can manage your rental property and help you find a home to rent or buy. We have a team of highly qualified associates and staff members committed to our mission of providing our clients with the best customer service in the area and maintaining the highest professional reputation in the Real Estate industry. Our team is equipped with the latest technology and training in order to provide the best service available, and we look forward to the opportunity to serve you. Great one owner family home in a quiet cul-de-sac. Beautiful brick exterior with a newer metal roof. Two car attached garage. Three bedrooms and 2 full baths. The brick fireplace adds so much character. There is plenty of room at this price to update the home with all your favorite finishes. Please let me introduce myself. 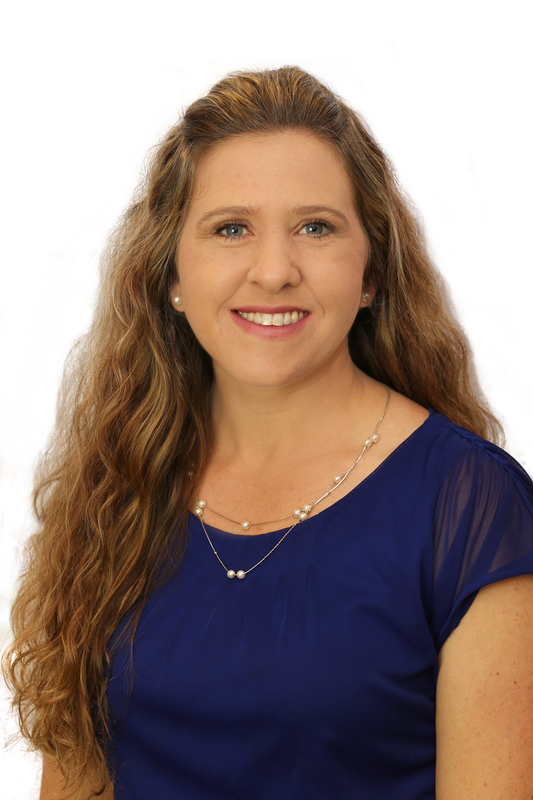 I am Bethany Nickel, professional licensed real estate agent at Coastal Realty Services. I choose Coastal because we care about our clients and put their interest above our own, we are family owned and operated since the 1970’s and we serve our community. My background is in managing finances for the USAF Chaplain Corps. I am passionate about personal finances and strive to help my clients better themselves financially. I began my career as an agent in Fairbanks Alaska and later transferred to Florida. I am still defrosting after four years in North Pole. Personally, I am an Air Force wife, mother of three and one crazy dog. The Emerald Coast has stolen my heart. We enjoy boating, kayaking, swimming, running and simply enjoying all this area has to offer. As a real estate agent I will strive to give you a fun, low stress, enjoyable experience. I will work tirelessly to get you the results you are looking for. Please allow me the opportunity to help you achieve your goals! 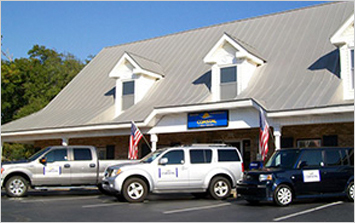 Coastal Realty Services is unique in that it offers relocation services to ALL renters and home buyers moving into and out of the area, including international moves. 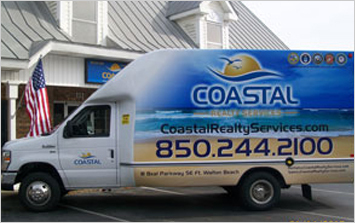 Coastal Realty Services offers a 14 foot Ford Aerocell moving van as a courtesy to all of our buyers, sellers, tenants and local non profit organizations for local transfers. 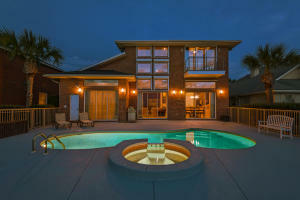 Coastal Realty Services is a local family-owned company, founded in 1973. Our team will provide the best service available, and we look forward to serving you.